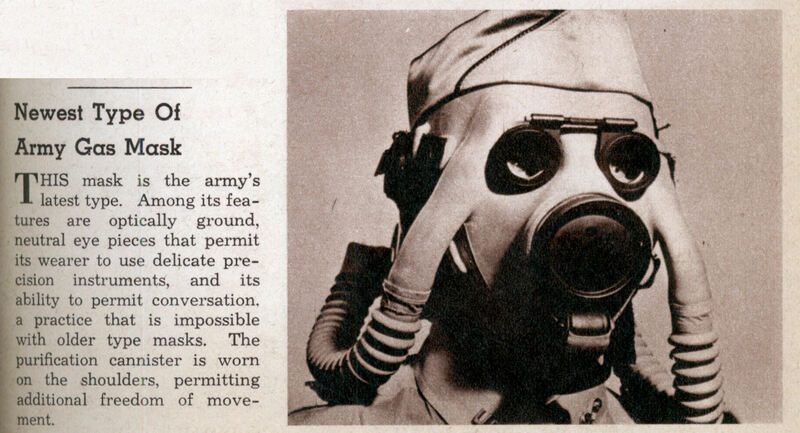 THIS mask is the army’s latest type. Among its features are optically ground, neutral eye pieces that permit its wearer to use delicate precision instruments, and its ability to permit conversation, a practice that is impossible with older type masks. The purification cannister is worn on the shoulders, permitting additional freedom of movement. looks very useful and practical. there is no tube getting in the way, and the position of the tubes prevent fogging of the lenses. the only thing that i think could be improved is larger lenses. awesome, im a collector and were might one be availible? Seeing as how the State of Israel didn’t exist in 1941 that rules them out, and the soldier modeling the mask has what appears to be “US” insignia on one collar and Chemical Corps branch insignia on his other collar I’m gonna go out on a limb and say American Army. 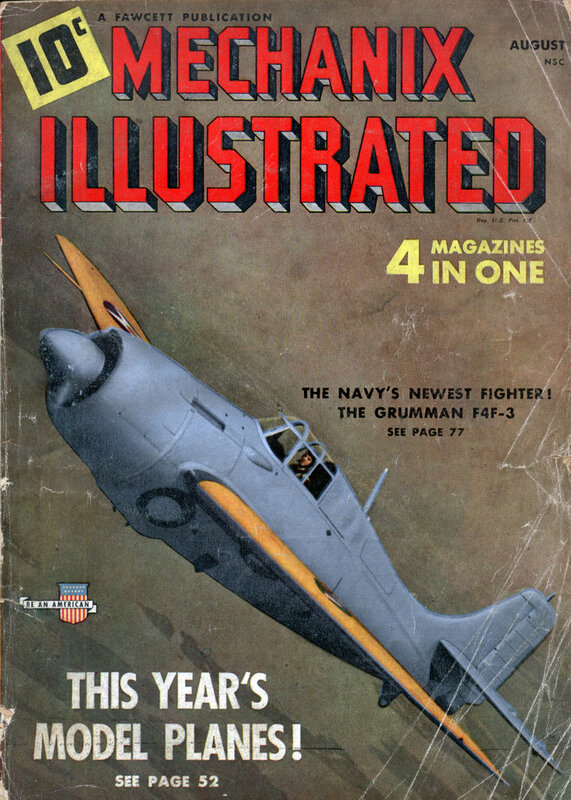 That and an American magazine referring to “the army’s latest…” kind of provided a clue as well.